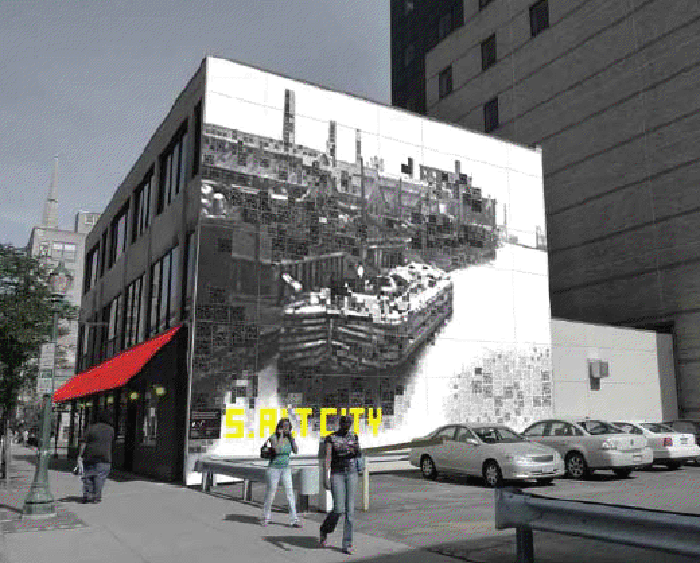 A mural for downtown Syracuse, designed by architects Cheng+Snyder, celebrates both Syracuse’s industrial past and its current status as an artistic hub, apparently. 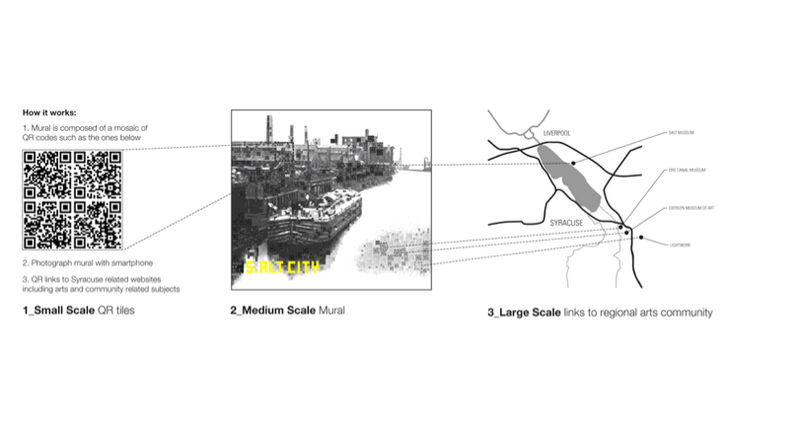 At first glance, the image is historical, depicting a pump house and brine distribution center. On closer inspection, viewers realize the image is a mosaic composed of dozens of unique QR code tile, each linking to a contemporary arts organization in the greater Syracuse region. 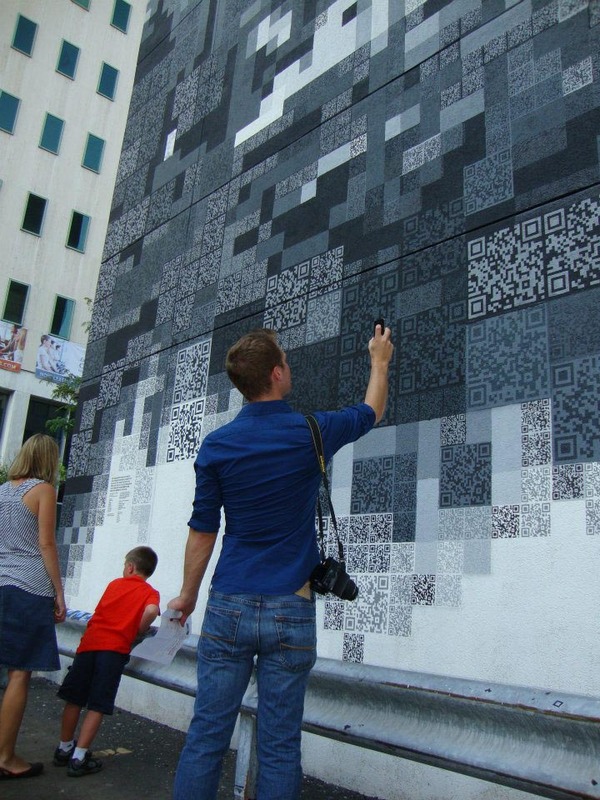 Between this mural and the Russian Pavilion at the Venice Architecture Biennial, it looks like people are starting to find interesting uses, as well as engaging ones, for the ubiquitous codes that never seemed, at least to me, to get people scanning. This entry was posted in Architecture, Art, Graphic Design, Interaction Design, Street Art, Stuff We Like. Bookmark the permalink. I don’t think I’ve ever been prouder. Interesting use of QR Codes, but I would argue it is not a true mosaic, more of an image overlay. I’m a bit of a nut when it comes to digital mosaics. Check out my QR Code Amy Goodman portrait made in 2010, no large pixel blocks overlaid, just pure QR Codes.